This is one artist’s concept of Kuiper Belt object 2014 MU69, the next flyby target for NASA’s New Horizons mission. This binary concept is based on telescope observations made at Patagonia, Argentina, on July 17, 2017, when MU69 passed in front of a star. 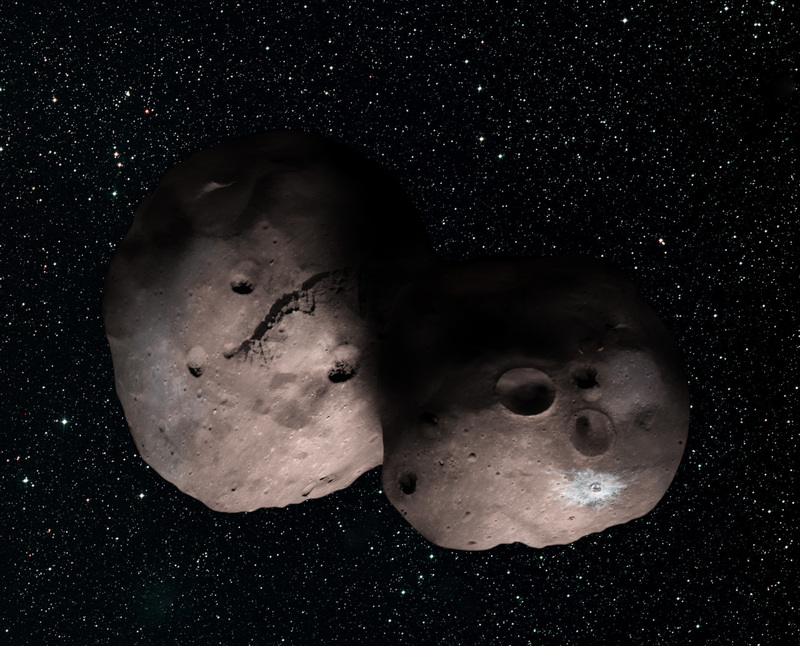 New Horizons scientists theorize that it could be a single body with a large chunk taken out of it, or two bodies that are close together or even touching.